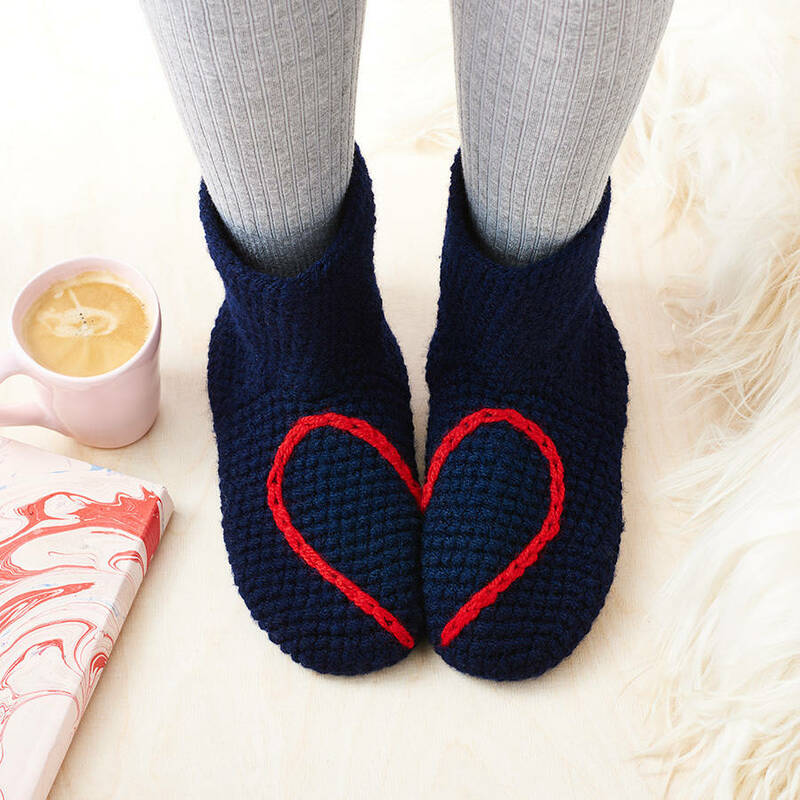 colour/design colour/design (required)Grey with Red HeartNavy Blue with Red HeartRed with Grey HeartPlum with Cream HeartBlack with Pink HeartTeal with Cream HeartGIFT VOUCHER -this will be sent to you as a PDF and can be redeemed for a pair made to order in her chosen colour/design and size. 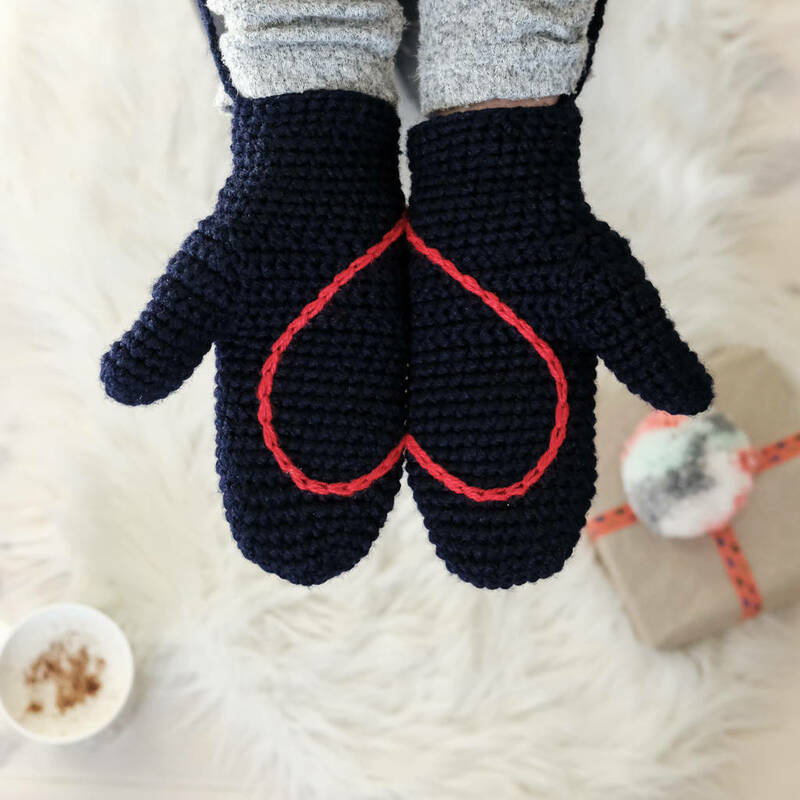 colour/design (required)Grey with Red HeartNavy Blue with Red HeartRed with Grey HeartPlum with Cream HeartBlack with Pink HeartTeal with Cream HeartGIFT VOUCHER -this will be sent to you as a PDF and can be redeemed for a pair made to order in her chosen colour/design and size. 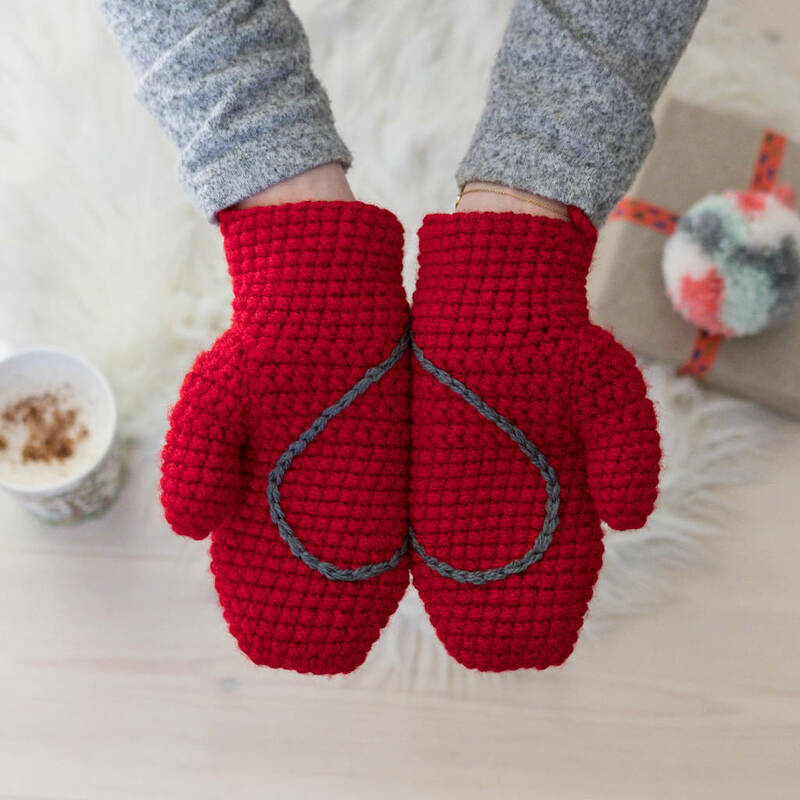 colour/design (required)Grey with Red HeartNavy Blue with Red HeartRed with Grey HeartPlum with Cream HeartBlack with Pink HeartTeal with Cream HeartGIFT VOUCHER -this will be sent to you as a PDF and can be redeemed for a pair made to order in her chosen colour/design and size. 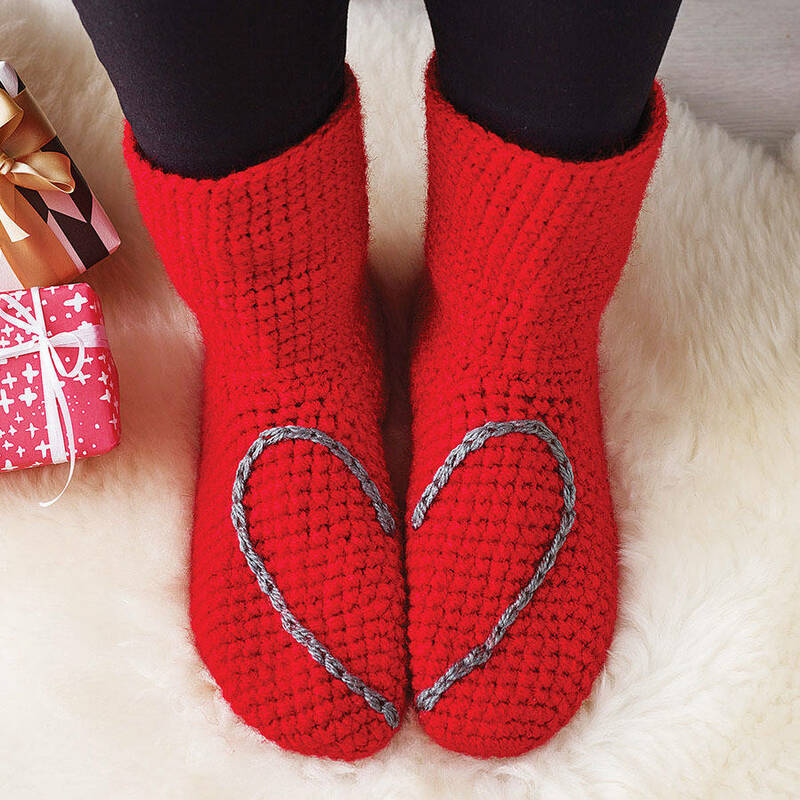 colour/design (required)Grey with Red HeartNavy Blue with Red HeartRed with Grey HeartPlum with Cream HeartBlack with Pink HeartTeal with Cream HeartGIFT VOUCHER -this will be sent to you as a PDF and can be redeemed for a pair made to order in her chosen colour/design and size. 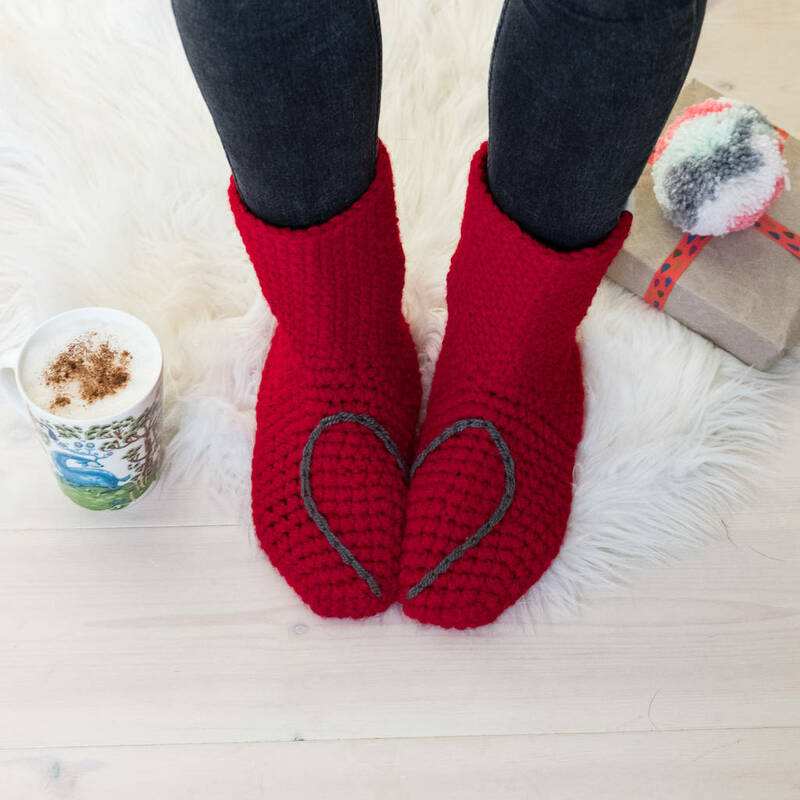 Keep your feet nice and cosy with these crocheted socks in a choice of four colours with a heart design when your feet stand together. 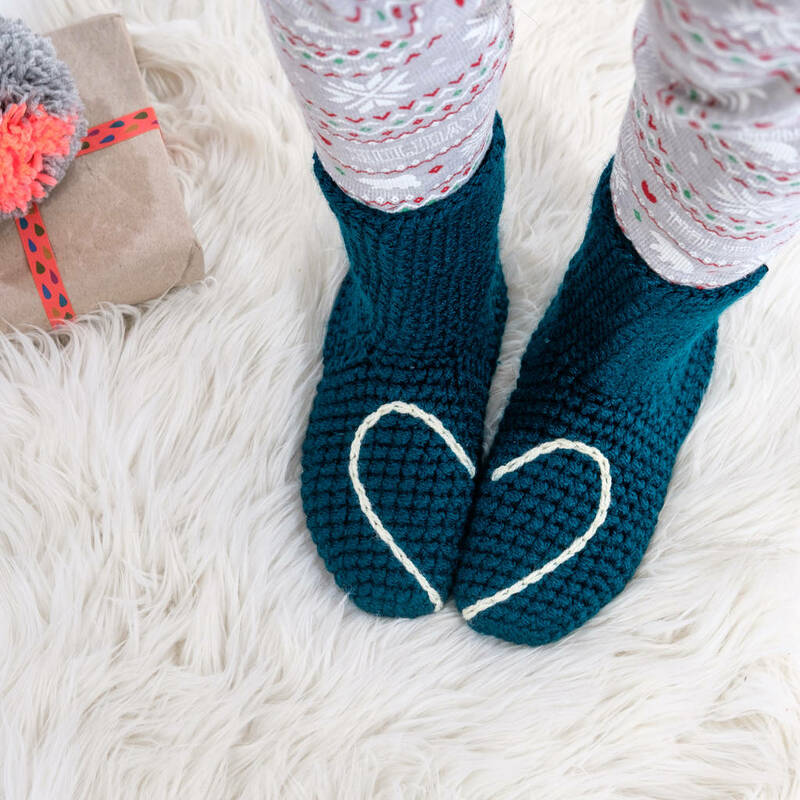 A wonderful gift for someone you love, these slipper socks are fun, cute, and totally handmade just for you. 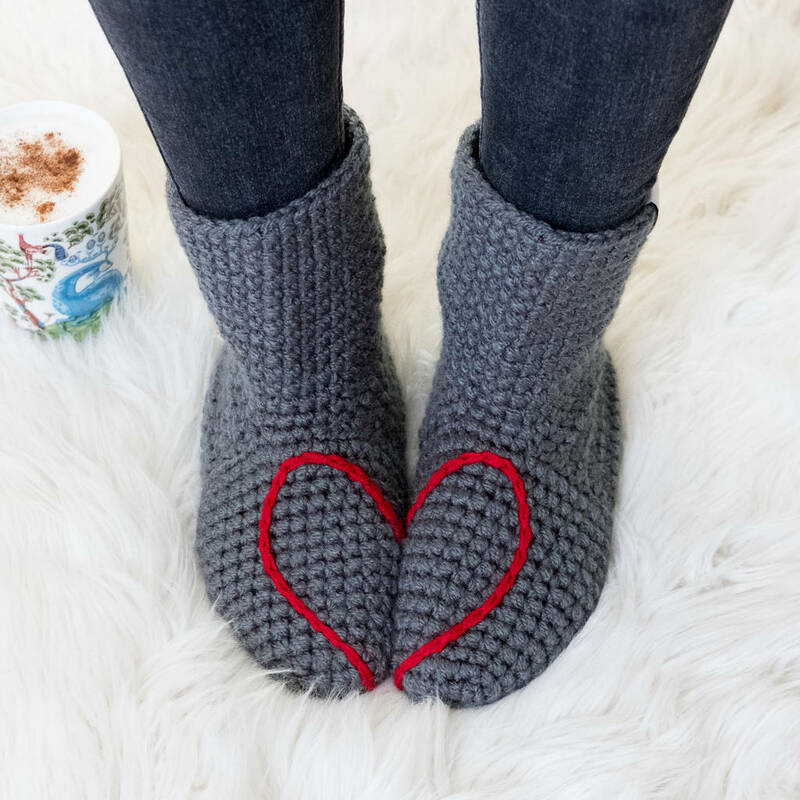 The simple heart design is a lovely hidden message for a friend, girlfriend, wife or mum, and the thick crochet yarn will keep her toes lovely and toasty.These socks are perfect to use as house or bed socks, there is a protective felt patch on the soles but they are not for outside use. The top section can be worn up or rolled down as you prefer. 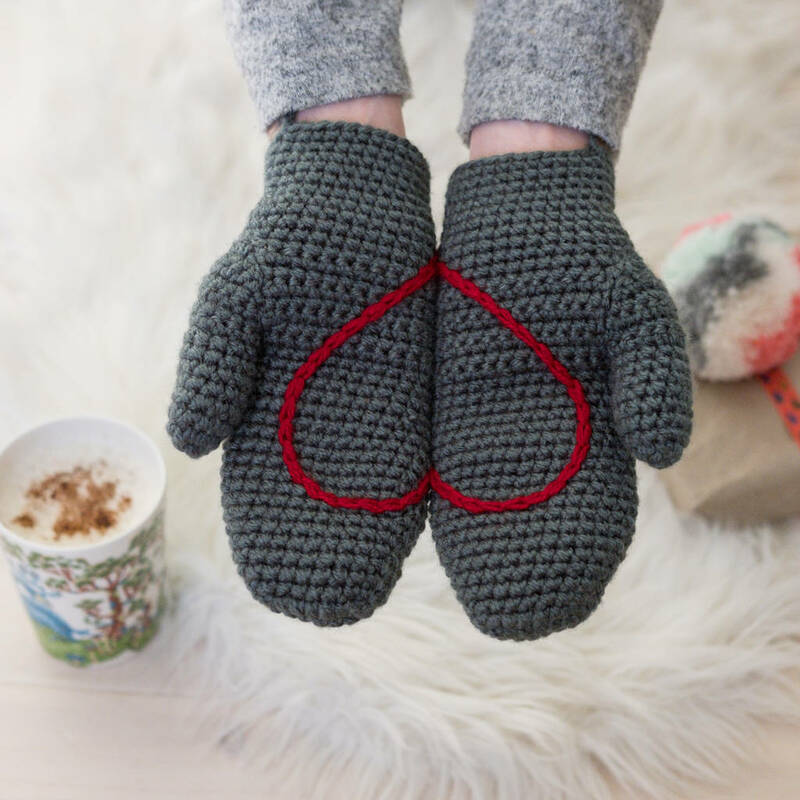 Why not upgrade your gift and get matching mittens with 30% off? 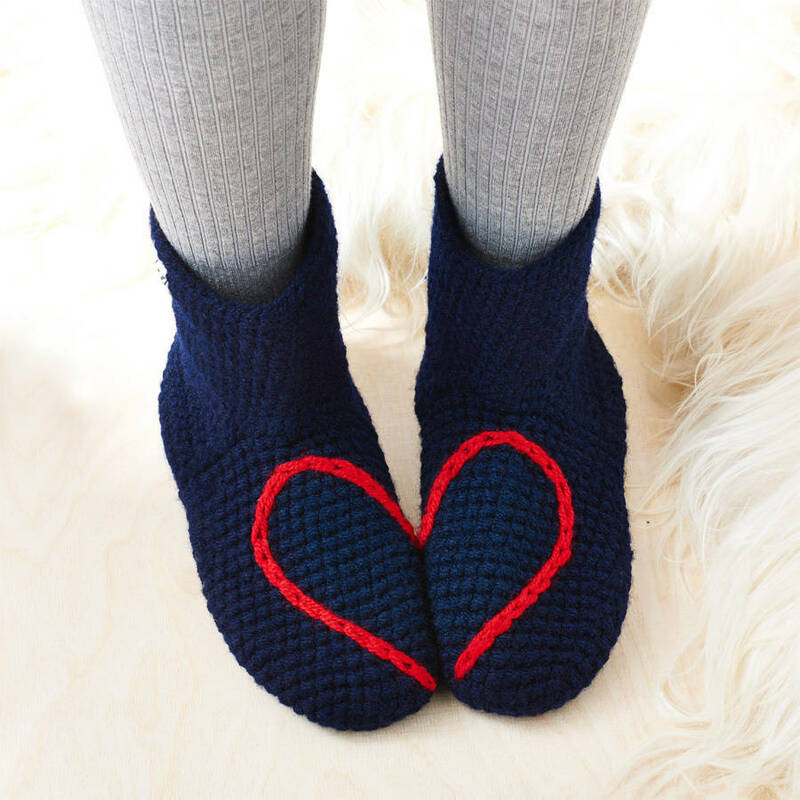 Baby sized heart booties are also available in my shop, please see 'sellers full range' for that option. 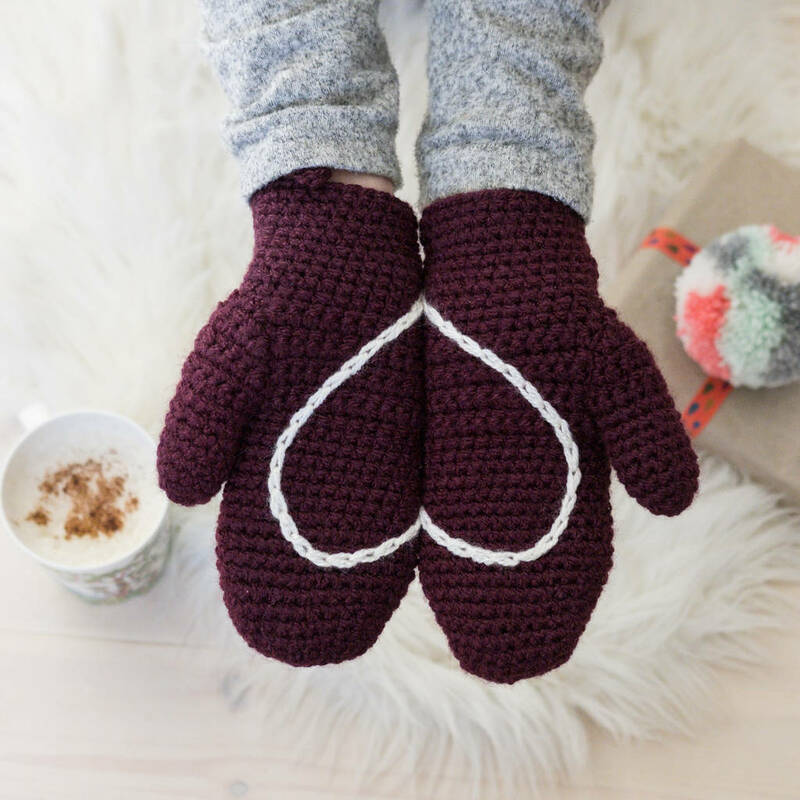 Black with pale pink heart. 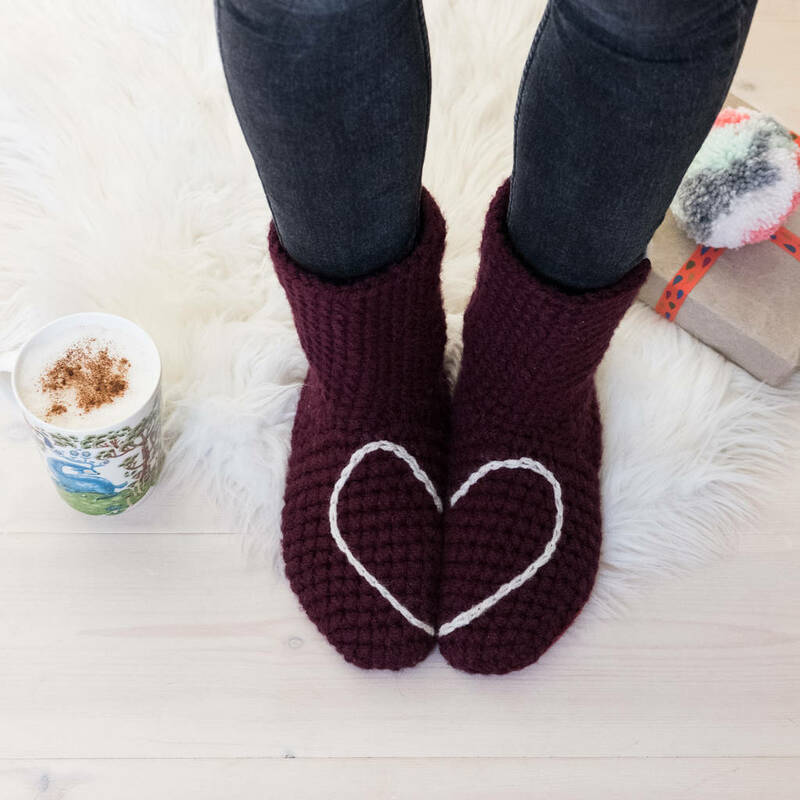 Baby booties in this design are also available, please see 'sellers full range' for those and 'Mummy and Me Sets'.You can also purchase a gift voucher if you’d prefer to give your loved one their choice of colour.